February 28, 2015 8:00 pm Thor Platter | Local Brews / Local Grooves | Cleveland, OH @House Of Blues | 308 Euclid Ave.
Thor’s set runs 8pm-9:45pm on the Crossroads Stage! 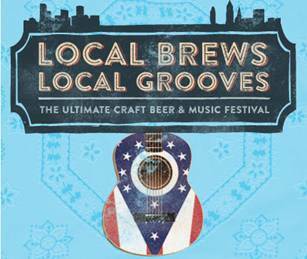 — House of Blues Cleveland is excited to announce the inaugural Local Brews Local Grooves on Saturday, February 28, 2015 from 5PM – 10PM with VIP doors at 4PM. This whole house event is the ultimate craft beer & music festival featuring the finest breweries, hottest bands, & the tastiest food. Admission & a sampling wristband allow guests to sample beers from twelve of the top local breweries, check out fourteen of Cleveland’s best bands on four stages throughout the venue, and sample food at eight different food stations with a menu created by House of Blues chefs just for this event. Drink Beer. Eat Food. Rock Out.